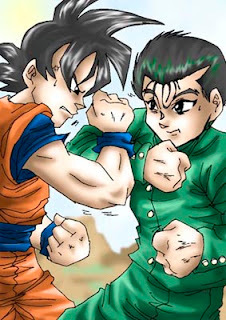 Now here is a fight I would truly consider to be epic. I think that Goku would win because he powers that seem limitless. I like Yuusuke but he sure seems to die a lot. Technically, Goku has died a lot too but I think those were more epic. I decided to stage a scenario in MUGEN.